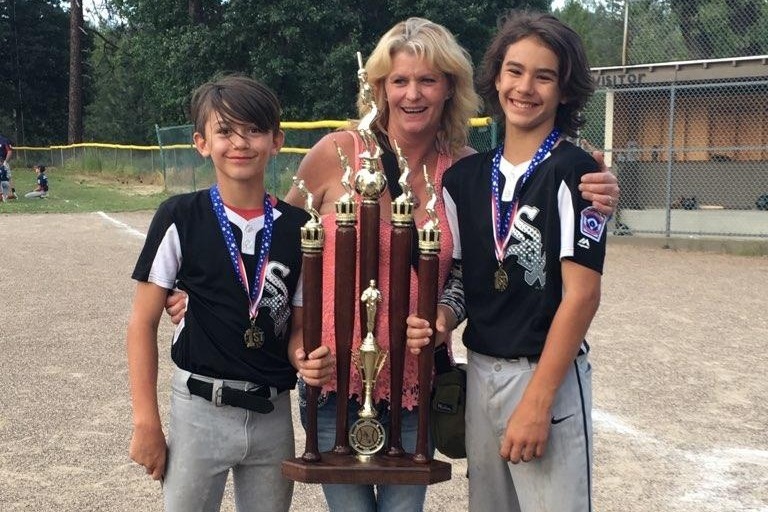 These Trinity County kids, Cody and Brody Crippen, are future baseball superstars! They have been selected for the Baseball Factory National Team, sponsored by Under Armour. It's a once in a lifetime opportunity to travel to Florida for 3 days of training and baseball! Here is letter written by Cody Crippen, age 13, which pretty much says it all. My name is Cody Crippen and I am 13 years old. I am getting ready to start 8th grade in August and I love baseball. Recently, I tried out for the Baseball Factory National Team sponsored by Under Armour. Based on my performance, I was selected out of thousands of players to play with this team. This summer I have the opportunity to go train and sharpen my skills with some of the top baseball coaches in the country and play against top baseball teams across the United States. I have trained hard for many years in order to achieve an opportunity like this and I am excited to see my hard work pay off. I know that this is a once in a lifetime chance to go play in Florida and this will give me a better chance to play in college. Opportunities like this will help me reach my highest potential and receive national recognition. I am asking, with all my heart, that you help me achieve this opportunity. I feel this will really help me achieve my goal of obtaining a career in baseball. Any sponsorship would be incredible. The total expense is $2,700 per player for a 3 day training, which is located at Vero Beach, Florida on August 2nd through August 5th. Thank You for supporting me in my pursuit of baseball greatness! I promise I will do my best. I am a hard working single mother, barely making ends meet in a small rural community. These boys have worked hard, athletically and academically to shine above thousands of kids nationwide to earn this opportunity. Cost of $5400 for both boys, does not include Air Fare. Round trip plane ticket for the boys and their mother will cost at least $1500, I rounded up $100 to help offset additional traveling expenses, like motel and food. We are hoping to reach our goal by July 20th to allow a couple weeks to make all the arrangements.